I had the book ‘Grieving’ by James White for a few months but didn’t read it. No idea why but I decided to start reading it on the Sunday (22/11/2015). I finished it on Monday morning, the day Sue died. Why this book? The reason for buying this particular book is twofold. I knew from listening to The Dividing Line that Dr White had been a Hospital Chaplin so I figured he would know what he’s talking about. I didn’t realise he had been a grief counsellor until I started reading but it made perfect sense. The other reason was that I didn’t want to read a book and be either disagreeing with the author or wonder quite what perspective they were coming from. I knew his theology and was prepared to learn. In my grieving I didn’t want the additional grief of reading bad or soppy theology. As I read the book my reasons were justified. It is an excellent little book. And that’s a plus – it’s a little book. I didn’t want to read some massive tome on grieving. Nevertheless, unlike the previous reviews it is a book that is laid out well and the type is easy to read. By the time I write this review I will have read it again. As pointed out in the book – and I knew this would be the case – while Sue was alive the grieving couldn’t truly start. There’s a massive difference! And nothing prepares you for it. I am now truly on the grieving pathway and it isn’t pleasant! The chapters are short and straight to the point. There’s very little verbiage, if any (Unlike my writing). He offers advice on practical issues like dealing with the clothes and not creating a shrine for your loved one. There is definitely a pull to do exactly that! So, it was helpful to flag that up. He doesn’t dodge the issue of the Sovereignty of God – this is the will of God. 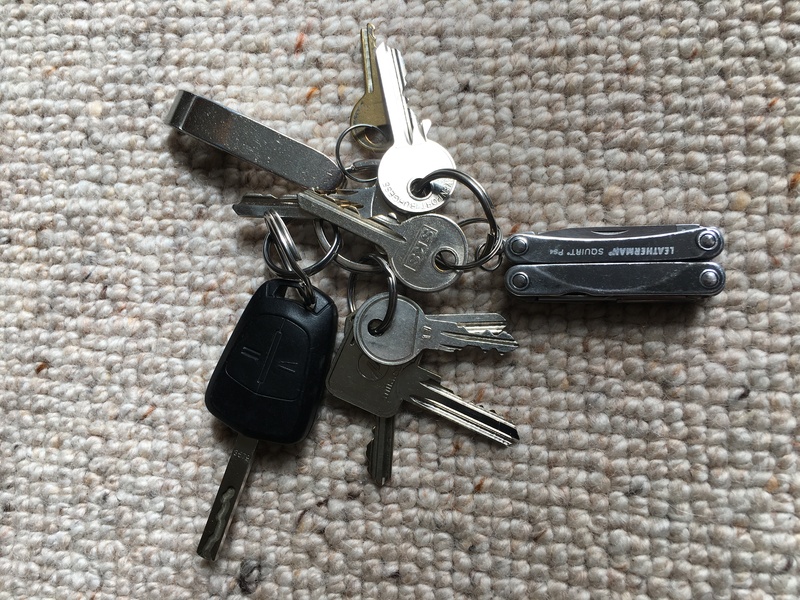 After reading it for the first time it was obvious – to me anyway – that I will need to come back to it or sections of it as I work through the grief over and over again. I don’t believe the book will be anywhere near as helpful unless I continue my habit of regularly reading The Scriptures. 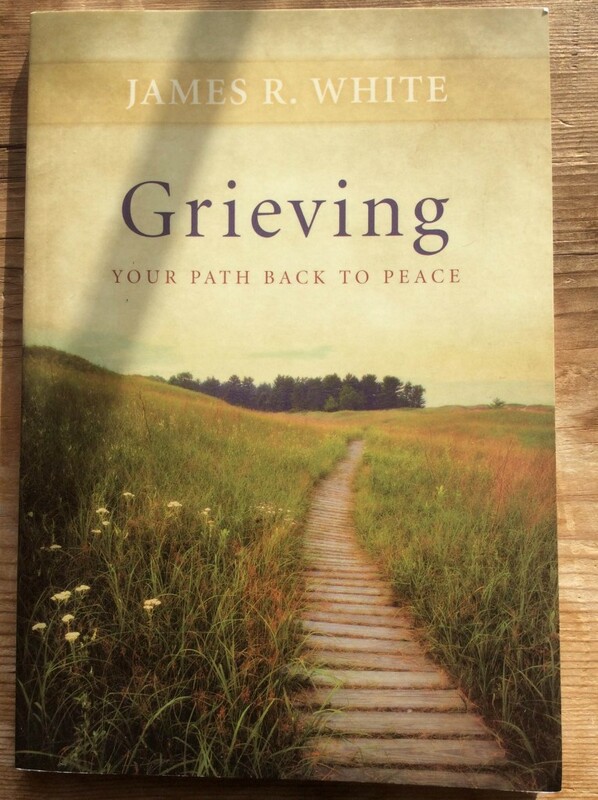 The book is written primarily for the Christian even though as Dr White points out much of the grieving process is common to humanity as we are all made in the image of God. It has actually been a few weeks now since Sue died and even though I wasn’t at the time of the first reading on the grieving pathway I have refered to the book several times. I’m actually glad I read it just before Sue died. Dr White, as far as I know, hasn’t gone down the path I am on, but he really does understand and it comes through in the writing. I would like to thank Dr White for this book. I am glad to have read it and found it extremely helpful both spiritually and practically. It isn’t a panacea, and it isn’t meant to be, but it is honest and makes no unrealistic promises that all will soon be well because they probably won’t be. I would say out of the three, so far, get this one first. I don’t know if it would have helped to have read it much sooner, maybe weeks or even months before Sue died, but I do believe Pastors / Ministers / Elders should read it and have copies readily to hand. 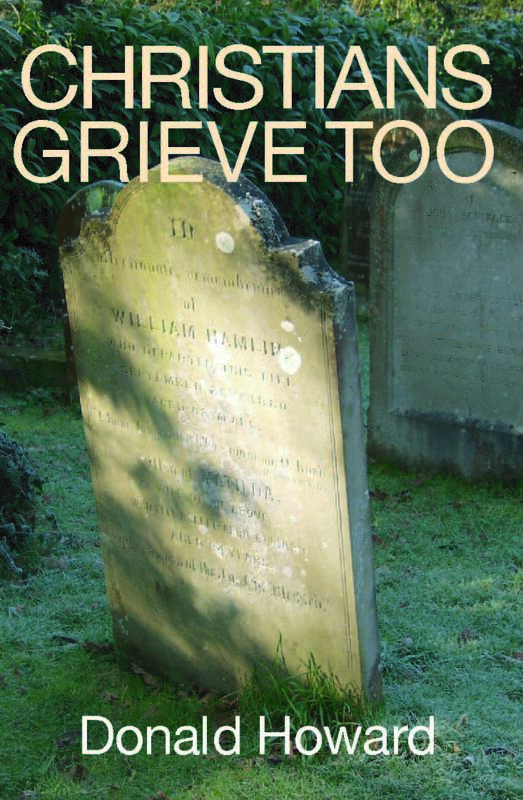 ‘Christians Grieve Too’ by Donald Howard is the second booklet I am briefly reviewing. It’s published by Banner of Truth and is also available at the usual outlets. The booklet came out of the authors own grief two years after his wife died of cancer. Knowing that helps. This author has been there. The title, I think, says a lot. The scripture says we grieve not as the world. It doesn’t say we don’t grieve. It is a 32 page booklet. It is short. We like short. We like easy to read as well. I have found my mind is affected by grief. I can’t concentrate as well, I can’t remember so well and have trouble sifting things through in my mind. Yes, we like easy to read. I included the preface because what is said there, thought very brief, is important. He quotes C S Lewis saying he and his wife were prepared for death but not for grief. This was also the experience of Donald Howard. It’s my experience as well. I was not, and I am still not prepared perhaps as I should have been for just how devastating grief is. The overall impression is what it says on the tin. Christians Grieve Too. The booklet expounds this idea. I found it helpful. I said at the start ‘This author has been there’. And this is very clearly stated in the ‘Reality of Grief’ and ‘The Experience of Grief’. The other two authors have not. That alone doesn’t make it any better to read. But to me, it is relevant. It helps to know the author understands. We grieve then, but we don’t grieve as others because we have hope. It is a ‘blessed hope’. This hope is only found in Jesus Christ. As a small booklet it could be given out to Church members so they have at least some idea of what the bereaved person is going through. Whether it is your present experience or not, I would still recommend reading it. 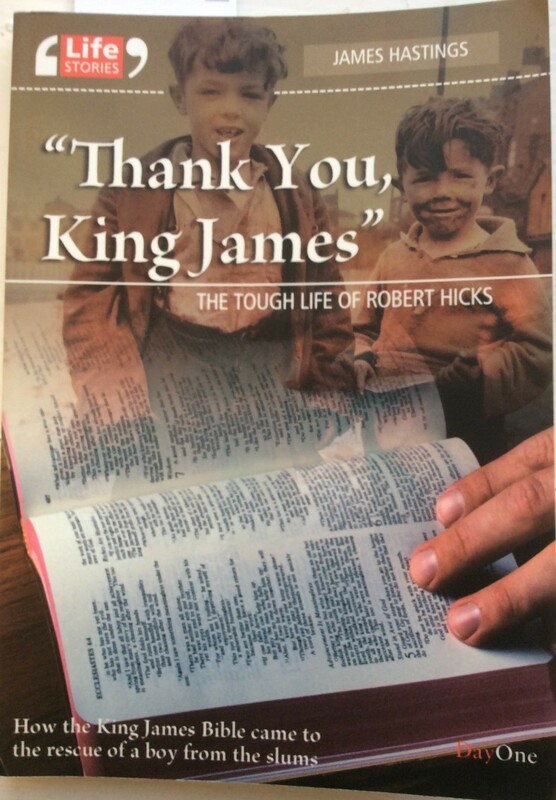 ‘Thank You King James’ is the story of Robert Hicks. Never heard of him? Neither had I. Robert Hicks is a businessman who started his working life in a local grocers shop: eventually working for Tesco and the Co-Op before entering the world of Christian publishing. It is a true ‘Rags to Riches’ story. The writing is easy to read and is a mixture of narrative by James Hastings (I assume) and accounts from Robert himself. The first section is a harrowing account of abuse and deprivation on an almost unbelievable scale. That any adult, never mind the parents, could treat their children in such an abominable way is quite simply horrific. He was labelled as ‘retarded’ at school because of a speech impediment that only required a simple operation to cure. An operation that didn’t take place until he was fifteen. And yet Robert was an intelligent boy with a gift for mathematics. A gift his teachers were mostly ignorant of. He was also gifted in business and went on to have a very successful career. The book was worth reading for that alone. Instead of blaming everyone else he realised that he too before God was a sinner in need of a Saviour. It doesn’t matter who we are or what our background is, we all need The Saviour – He is Christ the Lord. I thought it was powerful. What I wasn’t expecting in the book was the illness and death of his wife through cancer. A very similar situation to my own. His account shows how different we all are when it comes to grief. Not everyone will agree with how he used his marketing skills in the Church and the not discussed underlying theology. But what does come through is his devotion to Christ and his Gospel commitment, particularly his passion to get the Word of God out to the people. I was loaned the book, but was very glad to have read it. I recommend it. It’s a DayOne publication. I woke this morning about 5:30 with a great feeling of peace. So much so that it shocked me. I wondered if I had woken up. I wondered if it was right to feel like this. As I lay there thinking of Sue the tears came. The peace didn’t last and I eventually got up about 7:30. But I believe The Lord gave me a foretaste of His Peace this morning. He is The Prince of Peace. But it has been another tough day. Today I went to the Funeral Directors to finalise the details of the Funeral. [7th December @ 2.00 for the burial and then @ 3.30 Lower Ford Street Baptist Church, Coventry for the Service] I’m so glad Chris (our eldest son) came with me. Chris chose the coffin and was on hand to ask questions. I wonder how I would have coped on my own. There were tears. The need to cry just comes over me with no warning at the slightest little thing or even over nothing at all. I took some clothes for her to wear (ironed by her best and closest friend Ruth) and then we were given the option of going to see her before the burial. No decision has been made. We did so much together and went through her illness (Cancer) together that I just want her with me now to go through this together. It’s not that there is any guilt or regrets but I just want her with me. We just liked being together. We really liked being with each other. I count that as the good hand of The Lord with us to bless. God is Good. I’ve been challenged (in my own mind) about how I’m going to do these. I will have to be honest about how I feel, otherwise, they will be of no use. I’ll also need to discuss at some point along the way about how things feel and about how they actually are. So there’s going to be some theology along the way too. The other thing is, I’m not sure how many or how often I will do these but following is a post I started some while ago when someone died in the next room. This has present relevance as you will see from my comment at the end. Someone died last evening and I have to say it was quite distressing. 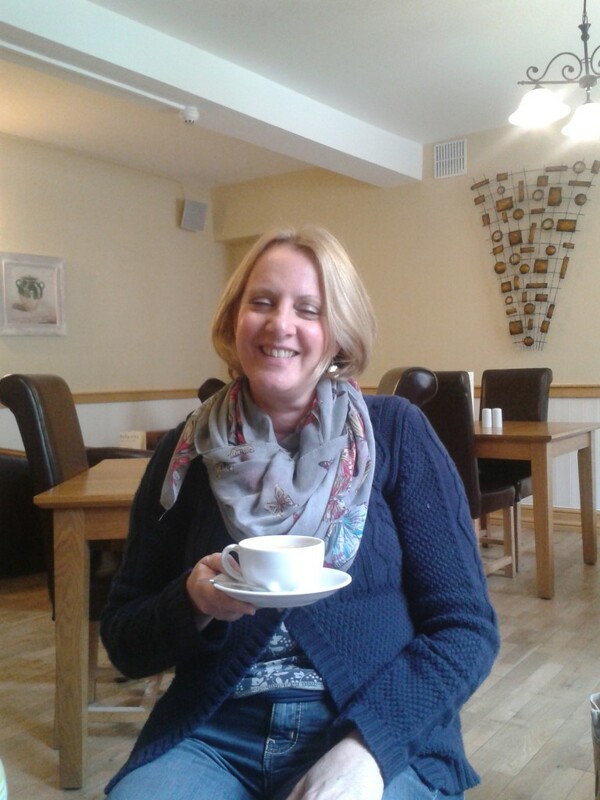 Sue has been at the Hospice since Monday but is hoping to leave today (Thursday 2/4/15) and I will pick her up straight after work. 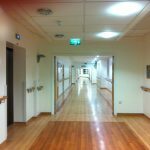 We are just talking together when all off a sudden there was a lot of nurses running in the corridor followed shortly by a terrible sound of wailing and crying. It was distressing for Sue because she didn’t want us to be like that. I said ‘its right and normal to be upset but we don’t grieve as others that have no hope’. I got the sense that the death in the next room was a hopeless one. I may be wrong but that grief was a hopeless grief. In fact, I said ‘that is the sound of despair’. Sue was again reminded of her death. I then read Mr Spurgeon for that evening – a gospel message. I then prayed with Sue and Lydia. We hugged. 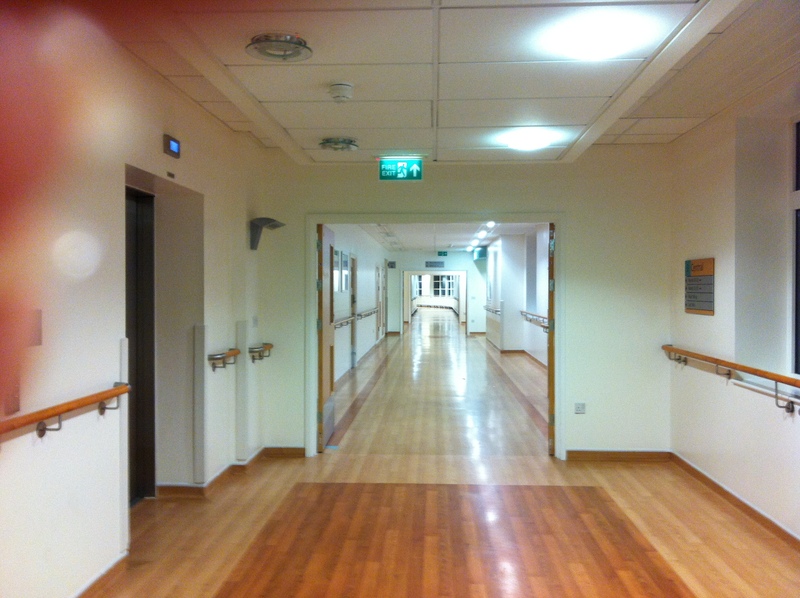 All the while the sound of crying and loud wailing was coming from the corridor and the room next door. It was about 8.00. PM. Sue wants to die at home. And I want to make it happen for her. I am sad when I think she will not be with me. We planned on getting old together. The Lord has another plan. I haven’t cried in a while, but I will. Sue said ‘I want to die at home in the presence of God’. I’d like to think the lady that died did that – but I don’t think so. That was never posted, until now. But as I read it now…. Sue did die at home in the presence of God. And it was a death FULL of Hope. We watched her take her very last breath in this life and she was gone. I then stood at the end of the bed with my daughter and said ‘remember the lady and her family at the hospice, this isn’t like that at all’. We wept. But we wept in hope. [I’ll have to do a brief post on Hope because what the Bible means by Hope isn’t what the world means: there is quite literally a world of difference.] You can see how relevant the post is now – as I can. We thank God for His Grace. Susan Margaret Iliff 25/11/1955 – 23/11/2015. Forever with The Lord. The love of my life, Sue, died yesterday at 1:30 in the afternoon. That is to starkly state the cold hard fact. Another fact however, is that Sue has gone to be with her Lord & Saviour Jesus Christ. We were married for 32 years. We were best friends as well as husband and wife. We did everything together and pretty much went everywhere together. Even if I were nipping to the shops, she would say ‘hang on I’ll put my shoes (sometimes slippers) on and I’ll come with you’. That’s how it was. We loved each other deeply. What a blessed marriage we had. A true gift from God. Sue was the most wonderful person and a Godly wife. 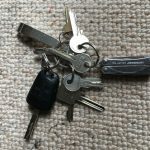 I’m going to write about the process of my grief and other things I’ve learnt along the way. I’m doing it for two reasons. 1. It will be cathartic and a record. So it’s for me, to help me get through this horrible time. 2. I pray it will be of some benefit to others that might be going through a similar time. So it’s for others. I’m not sure how far back I’ll go just yet, but I have made a few odd notes along the way since we were told the terminal diagnosis. I’ll leave it there for now. Grief might do weird things to me. So if all the posts suddenly disappear I hope you will understand. 23 The Lord is my (A)shepherd; I shall not (B)want. 2 He makes me lie down in green (C)pastures. 3 He (D)restores my soul.